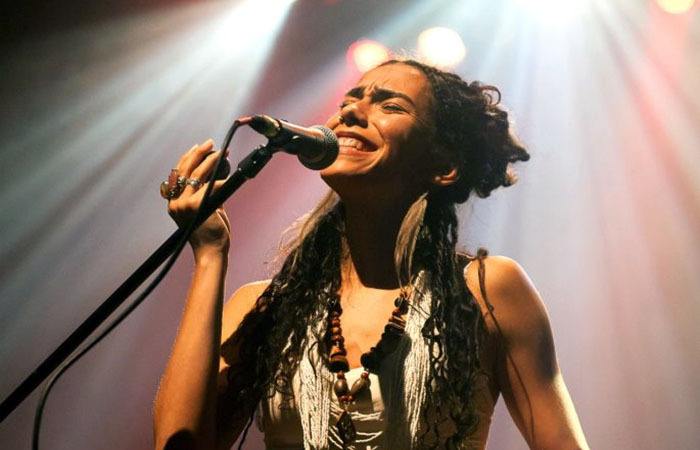 In a rather fascinating way, Mamselle Ruiz started writing the Canadian chapter of her musical career right after arriving in Montreal in 2010. Almost immediately, she joined “Les Chemins Invisibles” (Invisible Paths), a fantastic Cirque du Soleil seasonal outdoor show that was taking place in Quebec City’s Saint-Roch District. As a performing singer with the prestigious company, Mamselle Ruiz got to work with other talented artists, experiencing first-hand French-Canadian culture. No doubt it was an amazing learning experience that would have an influence on her artistic development and on her musical offering once she set up to record her first album on Canadian soil. The title of that first recording, released in 2012, was a simple but very meaningful Spanish word: Maíz (corn). That word is deeply connected to Mamselle’s heritage, to her Mexican roots and her Latin-American soul and culture. With Maíz, her debut onto the rich multicultural Canadian musical scene, Ruiz would connect the dots linking her past life and her experience in her new home, artistically speaking that is. Her breakthrough would come in 2013, when she won the 2013-2014 Radio-Canada Révélations Monde award (World Music category). Fast-forward to March 2014 and singer, songwriter Mamselle Ruiz, by now a more mature and seasoned artist, releases her new album entitled Miel de Cactus (Cactus Honey). 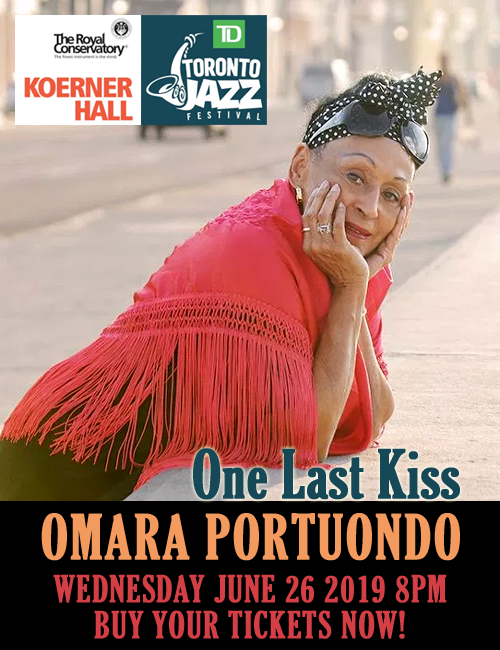 Her upbringings in jazz, classical, folkloric and popular music, plus her Canadian immersion inform this album, imprinting it with a global, international vision and flavour. A mix of fresh takes on Mexican and Latin American Standards and original songs make up Miel de Cactus. Mamselle Ruiz and her bandmates reinvent old traditional Mexican/Latin American tunes. Great arrangements, refreshing takes infuse new life to “Petrona”, “Moliendo Café” (a huge hit by Venezuelan Hugo Blanco), “Malagueña Salerosa”, “Cucurrucucú Paloma”, “La Bruja”, “La LLorona”. A new generation of World Music lovers can rejoice on these songs, most of which belong to the rich Mexican songbook. On her compositions (music and lyrics: “Corazón de Rubí”, “Camino al Mictla”, “La Tala”, “Salvaje de mi Vida” and lyrics for “Sombras”), Ruiz displays both, respect for tradition and embracement of modernity, with a taste for international flavour (singing in Spanish, French and Portuguese) and consciousness for the well-being of the planet, among other things. Kudos to Dominic Gamelin for magnificently arranging all the tracks, except “Corazón de Rubí” (arranged by Mamselle) and “Salvaje de mi Vida” (arranged by Mamselle, Marino and Roberto López -leader of the Montreal-based Afro-Colombian Jazz Orchestra). Essential in this project is the participation of highly talented musicians. Every member of the band deserves praise for helping Mamselle Ruiz achieve her vision and her distinctive sound. Tracks: 1. Petrona; 2. Moliendo Café; 3. Malaguena Salerosa; 4. Cucurrucucu Paloma; 5. La Tala; 6. Mariquita; 7. Salvaje de mi Vida; 8. Corazon de Rubi; 9. La Bruja; 10. Canto das Tres Racas; 11. Sombras; 12. Camino al Mictlan; 13. La Llorona. Personnel: Mamselle Ruiz: vocals, acoustic guitar; Dominic Gamelin: acoustic and electric guitar, ukulele, banjo, tres, pan flute; Guillaume Larouche: tenor and alto sax, clarinet, clave; Jérôme Hébert: double bass, electric bass; Pascal Lepage: drums, chorus, cajón; Marino: cajón, congas, bongós. Drums and acoustic guitar on track 7; Jacques Kuba Séguin: trumpet on tracks 3, 8, 10; Roberto López: tiple, maracas on track 7; Alexandre Désilets: chorus on tracks 5, 7, 13; Simon Lévesque: accordion on tracks 1, 13. Mamselle Ruiz really is named Mamselle Ruiz. Believe it or not, this isn’t a pseudonym. As a twin, her birth came as a surprise, and a name had to be found quickly. Her father, returning from France, was charmed by the sound of the word “mamselle” (Missy), and decided to give her this name. Born in Mexico, Mademoiselle Ruiz was predestined to live in a French-speaking land.